US Metal Crafters offers Metal Stamping Services to companies throughout the United States and North America. Our stamping services are usually custom designed and configured based on the customer’s needs and specifications. An initial consultation is followed by a detailed proposal and proposed project timeline. We work to delivery everything to you ahead of schedule and exactly as specified. With the below in-house capabilities, quick lead times, and responsiveness to customer specifications US Metal Crafters can handle ALL your metal needs. Find more information on custom metal stamping services please see below or contact us for a detailed proposal or to discuss our capabilities. Got it! We’ll be in touch shortly. Can’t wait? Metal Stamping services can be a single stage operation where every stroke of the press produces the desired form on the sheet metal part or could occur through a series of stages (commonly known as Progressive Stamping of Metal). 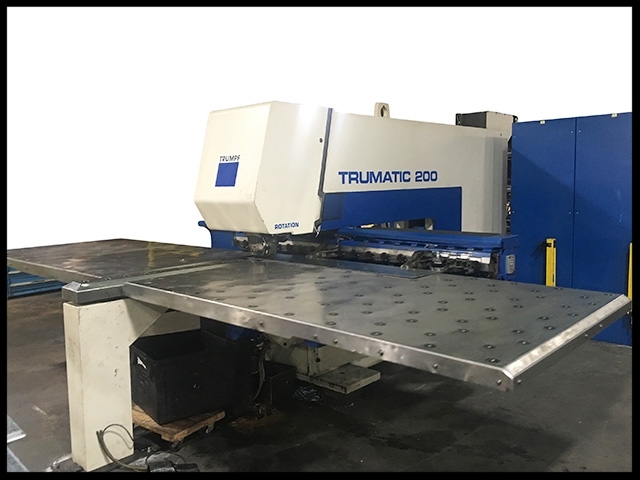 The process is usually carried out on sheet metal but can also be used on other materials (Contact your US Metal Crafters Representative for details). Progressive dies are commonly fed from a coil of steel, coil reel for unwinding of coil to a straightener to level the coil and then into a feeder which advances the material into the press and die at a predetermined feed length. Depending on part complexity, the number of stations in the die can be few or many. Precision CNC punching services are useful for the high-speed fabrication of custom parts. This process is ideal for parts specifying multiple precision holes, including perforated hole patterns and countersunk hole detailing. Embossing - the material is stretched into a shallow depression. Used primarily for adding decorative patterns. Drawing - the surface area of a blank is stretched into an alternate shape via controlled material flow. Hemming - folding an edge over onto itself to add thickness. Piercing and cutting can also be performed in stamping presses. CNC Punching - ideal for parts specifying multiple precision holes, including perforated hole patterns and countersunk hole detailing. Progressive stamping is a combination of the above methods done with a set of dies in a row through which a strip of the material passes one step at a time.